The world of digital marketing is being rocked right now. It’s changing and it’s changing fast! 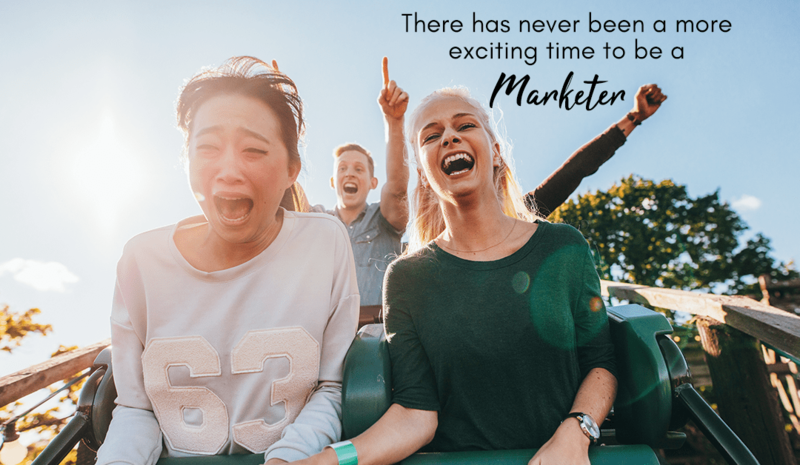 There has never been a more exciting time to be working as a marketer or marketing your business. But unfortunately too many businesses (and marketers) are stuck in a marketing mindset that doesn’t work. Times have changed and you need to understand what is changing and adapt your marketing approach to coincide. Failure to do so will result in your business being left behind. The expectations of consumers, technology and data are fuelling these changes. The customer is now the powerbroker. They are more educated, more curious and more connected. All of these have implications for your business. Thanks to the wealth of information available online and the ease in which they can access it, our customers are now more educated than ever before. It doesn’t take much effort to research a product, review a business or compare prices and our customers will do this, as they are curious. They are eager to learn, able to be influenced, but also have the ability to see right through your marketing hype. When you combine all this with the fact that people are connected to more people online than ever before, it becomes clear that people are now the media. They have their own audience that know, like and trust them, so what they have to say about your business has weight. If people are now the media, then what is your business doing to tap into this media source? Those businesses who are achieving the greatest success on social media these days are leveraging the power of user generated content. They aren’t shying away from reviews, instead they are using them (the good and the bad) to fuel their advertising campaigns. People are natural born story tellers. Leverage this. Find ways to engage your customers and give them something to talk about. But don’t just sit back and hope this will happen. You also have the opportunity to find people who already have influence within a community that contains your potential customers and work with them to leverage that trust within their community in a transparent way – influencer marketing. You also need to be on the lookout for those people who are the natural superfans of your business. And if you don’t have any, create them! Create memorable moments for your customers in a way that impacts their lives (in a positive way). Do this by surprise and you will be on your way to creating a superfan. But don’t just stop with one. To achieve success online these days you need a community of superfans who become evangelists for your business. These things don’t happen for most businesses by chance. They happen by design. Be proactive. Train your team. Ask for reviews. Make your location Instagramable. Be awesome! What we can do with tech these days is amazing, both as a business and a consumer. The impact of artificial intelligence is sneaking up on us through a series of incremental changes that are largely going unnoticed by many in the background, but will soon become expected by consumers. Your sat nav in your car is probably the best example of this. No longer does it just show you the best route from point A to point B, it now shows you the best route from point A to point B right now, taking into consideration traffic congestion. It didn’t used to do that, but now it does and now we expect that. The bar has been lifted. Search as we know it is being transformed by voice. Smart speakers don’t provide a list of answers to your questions. They provide THE answer. What is your business currently doing to become THE answer? You also have an opportunity to learn from the data. But don’t get all caught up with the numbers. Numbers don’t matter, it’s what the numbers represent that matters – behaviours. It’s your role as the marketer within your business to track those measurable behaviours that are important to your business. You can use tools like Google Tag Manager to do so. If you don’t have a Google Tag Manager account setup, do so. If you don’t know how to use it – learn! The data will help you with conversions. It’s getting harder and harder to drive traffic to your website via channels like social media and email marketing, so you really need to make sure that you have optimised your website for conversions when they get there. The data is what’s going to help you work out where the changes need to be made. The money is in the list, but the fortune is in the data. Become a data nerd! It’s not just the opportunities that are massive these days, the challenges are huge too. You’ve probably heard people predicting the end of organic reach on social. Most of the social media platforms have algorithms at play these days. And one of the biggest reasons algorithms are required is because of marketers. For too long marketers have been screaming “buy my stuff” to their audiences online and the social media platforms quickly realised that if they wanted to continue on with their revenue models that we based around monetising our personal data, then something had to change before everyone exited the building – enter the algorithm. Social media algorithms are designed by the platforms to show people what they want to see. There are millions of factors that go into these equations, but one of the biggest signals that you have value to offer to your community is “engagement”. You need to be driving more conversations, firstly so that you are able to get past the gate keeping algorithms and secondly (and most importantly), so that you can speed up the “know, like and trust” process, so that people feel compelled to visit your website and purchase what you have to offer. But this is getting much harder amongst all the noise now that the cost of getting into content marketing is zero. We all now have the tools in our pocket to create video, most businesses have a blog and it seems like every other person is starting a podcast. It may be getting easier and cheaper to create content, but as the amount of content increases, it becomes harder and more expensive for your content to be seen. Our customers are in a state of content overwhelm and the algorithms are building a bubble around them to protect them from this getting any worse. Therefore if we want to stand out, we need to be creating an immersive, fun experience for our audience that demands attention and cuts through the content filter bubble so that you can be seen. This is becoming increasingly challenging. This has resulted in many businesses turning to social media advertising to circumnavigate the algorithms to be seen, but I have some bad news for you… The same rules apply. If your content or offer is not awesome and just contributes to the noise, then your ads won’t perform well. Yes, you may get conversions, but at what cost? Those businesses who do best with social media advertising are usually those businesses that also do well organically. Engagement and the social proof that comes with it are the most important currencies in our digital age. So how can you generate more engagement? You won’t get people talking about you if you are vanilla. Take a stand. Things that polarise one group of people are what attract another. As long as you know what your customers stand for and against and your stance aligns with this, you are onto a winner. Also consider where your customers are having their most meaningful conversations these days. Did you know that more people are using private messenger apps than public social media these days? This provides a whole new opportunity to your business in the form of messenger marketing and those businesses that are getting on board this new medium and connecting with their customers in a meaningful way are reaping the rewards. But please don’t wreck this opportunity for other marketers. As is the case with all other channels, you need to respect the medium and provide value. Those business that are doing well in this channel are creating messenger chatbots that are highly engaging and fun! As a marketer, it is important that you try new things. Being an early adopter certainly comes with it’s advantages. It’s easy to wish now that you had invested more time building your email list using Facebook Advertising when you could get a new subscriber for much less than a dollar. People who did are now reaping the rewards. But not all new bright shiny objects are good. You need to work out what will work best for your business. Assess the data, make decisions on what to do based on that data and then test those assumptions. But don’t just test to see if what you have done before still works. You also need to test to see if something else might work better. That’s how you get better. That’s how you evolve. As a marketer, it’s your responsibility to your business to embrace change and stay ahead of the curve. Invest in yourself by investing in your learning and this will be an investment in the success of your business. If you are looking to turn your digital marketing into a reliable and predictable revenue generating machine for your business or the businesses of your clients, then I would like to invite you to join us at Click Engage Convert. We will be providing you with practical digital marketing strategies that will enable you to leverage all of the opportunities that are available to us during this exciting time of change. 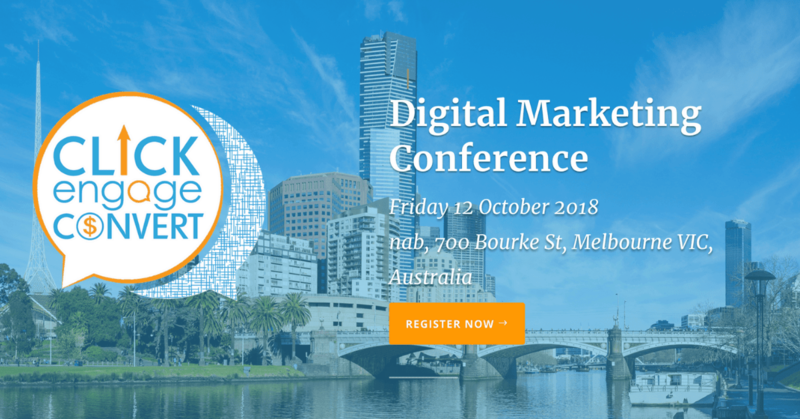 At Click Engage Convert you will learn the digital marketing strategies that are working right now, direct from world class speakers, with genuine hands-on expertise. You will leave this event with loads of practical takeaways you can actually implement, not lofty ideas and inspiration without substance. Invest in your learning, here’s 8 Reasons Why You Need To Attend Click Engage Convert.